service agency or the gas supplier. must be installed by a licensed plumber or gas fitter. of this or any other appliance. - Do not try to light any appliance. phone. Follow the gas supplier’s instructions. 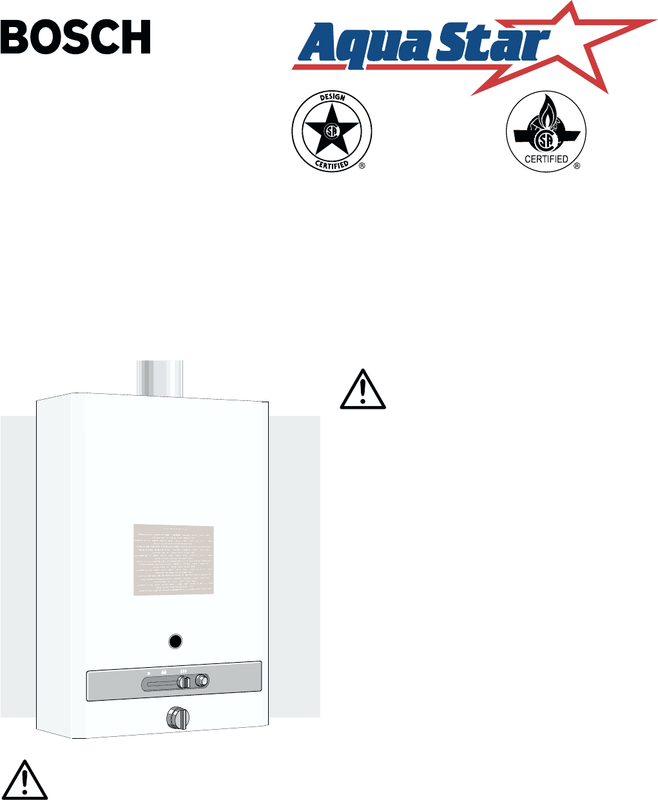 qualified installer, service agency or the gas supplier.